There’s no mistaking that full sound that can rattle stained glass windows and simultaneously reach a pitch as high as the heavens. That’s the trademark of the pipe organ. Situated firmly in the Bible Belt, there’s no shortage of Christian churches in Bowling Green. However, only six of them have a pipe organ. Versions of the pipe organ appeared earlier than 2,000 years ago. The instrument once had a home in movie theaters, performance halls and even pizza parlors, but most popularly in churches. In modern history, the 1960s was a “dark time” for the pipe organ, according to Kenneth Stein, organist for Christ Episcopal Church. “It was a time when tie-dye was king, and (the attitude was), ‘Let’s bring in guitars,’ ” Stein said. To appeal to young people, churches chucked their organs for instruments that mimicked the rock and roll music that was popular with the younger generation. New churches didn’t install pipe organs, a trend that has persisted as churches have continued to sprout up in Bowling Green. However, there is a band of folks keeping the art of pipe organ playing alive. In addition to playing for Christ Episcopal Church, Stein uses his talents for Western Kentucky University productions and at St. Joseph’s Catholic Church, which replaced its pipe organ with a digital one. Stein has played the organ for more than 50 years. He started out on his dad’s Hammond organ—similar to the organ used in rock songs. “I practiced like a dog,” Stein said. His father installed headphones into the organ so Stein could practice late at night after his parents had gone to bed. Stein saw early on how times had changed for pipe organists. His organ teacher lost his job at Radio City Music Hall years earlier when “talkies” lowered the demand for organists to play during silent films. 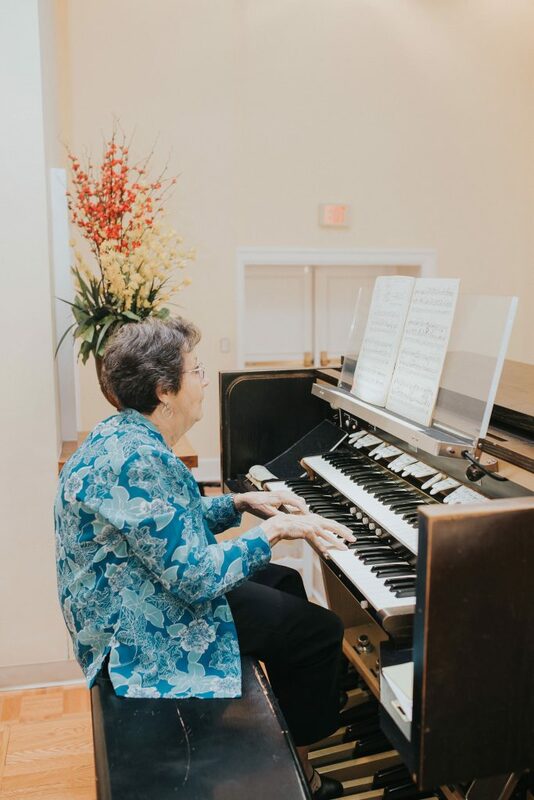 Frances Hall has been playing the organ for nearly 70 years and is the organist for First Christian Church, which is in the process of replacing its own aging pipe organ. Her musicality came from necessity. 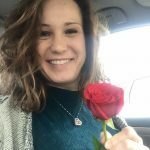 Her father was a minister, and her family moved around a lot. In small churches, Hall said, a minister’s family has to pitch in to keep the services going. When Hall’s mother juggled too many tasks, she pushed her young daughter to be an instrumentalist. It was then that Hall learned how to plan songs to go with a sermon, a skill that continues to be useful. The uniqueness of the pipe organ keeps Hall coming back to the bench every Sunday. As far as the future of the pipe organ, neither Stein nor Hall is concerned. “Organs have been in churches since probably the 1100s. I don’t see them leaving any time soon,” Stein said. Hall said young people still study organ playing, so there will always be someone to replace an outgoing pipe organist. “In spite of the things you’ve heard about it dying, it’s not,” she said. Bryson Richey is the poster child for Stein’s and Hall’s optimism. The organist for Brentwood United Methodist Church in Brentwood, Tenn., Richey has filled in for organists around town and the state, doing a few stints at First Baptist Church of Bowling Green. He is 26 years old. “I thought, ‘This is my contribution to worship. This is my talent that the Lord has blessed me with, and it’s my duty to keep it alive,’” Richey said. Hymns, though often considered old-fashioned, pair beautifully with an organ, and Richey said he believes nostalgia is bringing those songs back in vogue. 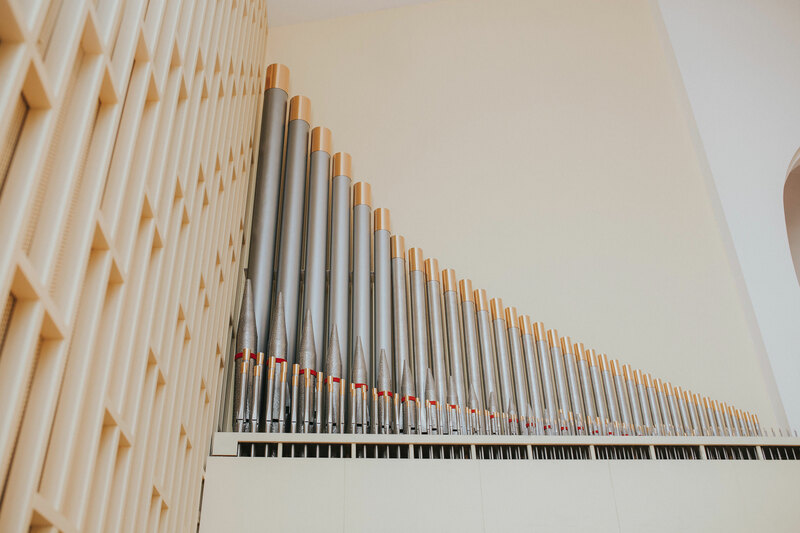 “I feel like the organ has such an impact, more than any other instrument, on hymn singing, and really is the vehicle that drives the emotional and spiritual experience,” Richey said. Keeping in mind that even casual churchgoers have likely heard many of the hymns before, Richey said he tries to “spice it up a little bit.” He sometimes composes his own intros and interludes, and tries to play the music according to the text of the song, whether solemn or joyful. “The songs are beautiful, the melodies are beautiful, but the words are what ties back to Scripture,” Richey said. 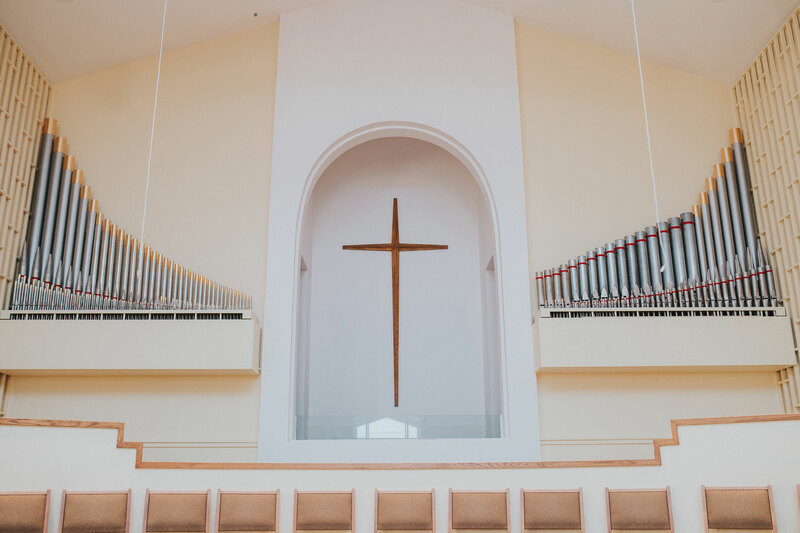 Then Richey, sitting at First Baptist Church’s pipe organ, played the hymn, the air exploding from the pipes in grand bellows that reverberated throughout the empty sanctuary. The power the pipe organ touts with its massive presence and sound give it a depth and permanence that time hasn’t managed to extinguish yet, Stein said. Hall added that the pipe organ evokes a feeling that no other instrument can. “It’s a spiritual experience playing. And then after awhile, you realize it’s a spiritual experience for the people listening,” Hall said. As for Richey, he believes using his hands at the keys and his feet at the pedals is his calling in life, and he plans to continue using his talents to glorify God. Monica works full time as a planner at the City-County Planning Commission of Warren County. She writes short stories in her spare time and has a few publications under her belt. She and her husband live in Warren County.